At the recent News Corp Australia Come Together event in Melbourne, media and Sky News Business spoke to a number of executives from the publisher. 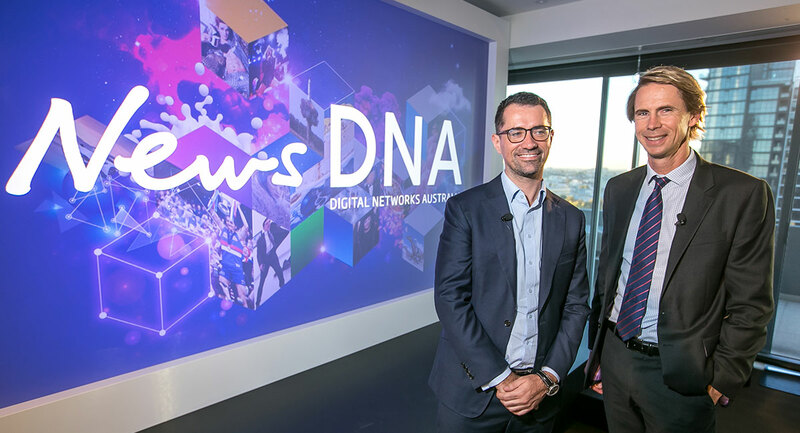 During the interview with the managing director of News Digital Networks Australia (News DNA), Julian Delany spoke about two initiatives and then gave us some detail on audience trends. Tell us about News Native Network. We have had a native product at News DNA for some years and it has evolved over time. The big change we have announced is that we are able to amplify the content we have been doing for all these years and amplify it across the entire News Corp network. That makes us a premium native network like no other in the country. It has taken us a while to get there but we are finally there. It is a great initiative and the work that has gone on behind the scenes to get it there has been significant. 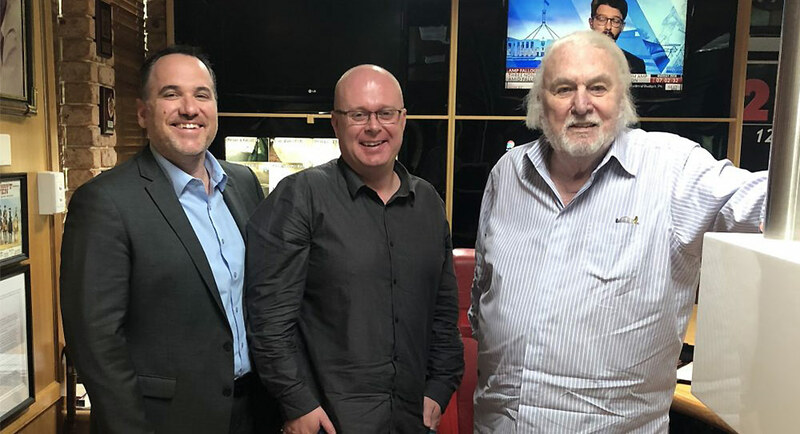 In a new series of podcasts from EFTM, Trevor Long and Chris Bowen this week visited John Laws at 2SM in Sydney where they saw the broadcaster in action and then spent time with him for an EFTM podcast. Laws told EFTM at one point in the past he had close to 40 cars in his collection. “I love the audience and I love the microphone,” said Laws about his own broadcasting career. “I feel I am really only talking to one person, which suits me because the program is very personal. “The future of our business depends on being close to the audience,” the company’s senior VP of global consumer insights Christian Kurz tells Mediaweek. 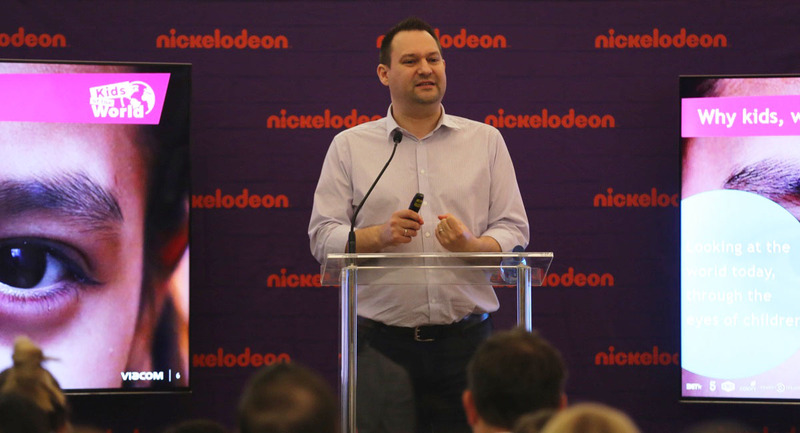 Viacom invests a lot of its time, money and energy into research to ensure that it is connecting with its audience in the best way possible. The person responsible for any consumer insights research that takes places outside the US is Christian Kurz, the company’s senior vice president of global consumer insights (pictured above). He was recently in Australia to unveil Kids Of The World research. Viacom is the home of Nick Jr., Nickelodeon, MTV, Paramount, VH1, Comedy Central, BET, Logo and TV Land. Network Ten has appointed Matt White head of sport, replacing David Barham, who moved to Seven as its first head of cricket in April 2018. White’s new position is in addition to his on-air role at the network, which includes hosting its Supercars, Rugby and Australian Formula One Grand Prix coverage, as well as the weekly magazine program RPM. He will report to chief content officer Beverley McGarvey. White has been with Ten for more than a decade, where he worked as a sport reporter and weekend host of Sports Tonight. In 2004, White moved from Ten to Seven, where he held a number of senior news and sport presenting roles. He returned to Ten in 2014. Meanwhile, Adam Cush has been promoted to the role of director of sport production. Cush has been a key member of the sport department for almost a decade and will continue to lead its production, commercial and business affairs functions, working closely with White. 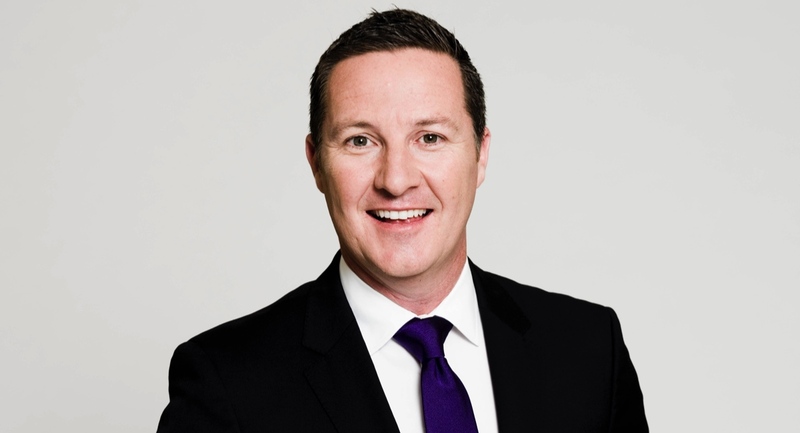 McGarvey said: “Matt is one of the most experienced and versatile television presenters in Australia, with a career that spans sport, special events, news and current affairs. The shuffles at Ten Sport come after the broadcaster lost the right to the Big Bash League to Seven and Foxtel in mid-April 2018. Nine’s yet-to-launch subscription-based subsidiary, Future Women (FW), has announced it first commercial partnership. 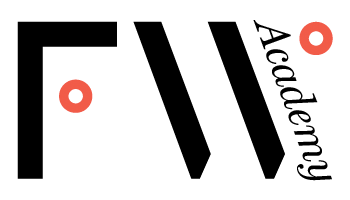 It has joined forces with specialist consulting firm Diversity Partners to create the FW Academy. The new business is designed to offer expert insights, speakers and tools to corporate clients to help them challenge unconscious bias, promote inclusive leadership and work flexibility. FW Academy will sit outside the consumer offering of Future Women and will function as its own entity. Dr Katie Spearritt is the founder and CEO of Diversity Partners. Future Women is the brainchild of Nine’s digital content director Helen McCabe. It was announced at Nine’s 2018 Upfront as a digital destination aimed at professionals and entrepreneurs. Giving an update about Future Women, McCabe said it will launch in the coming months. Meanwhile, FW Academy will launch later in the year. “It [Future Women] is a substantial member offering, so I am trying to be patient and put an emphasis on getting it right. But for anyone who wants to be updated we are producing a weekly newsletter through futurewomen.com, so please sign up. We intend to launch in the second half of 2018,” she said. 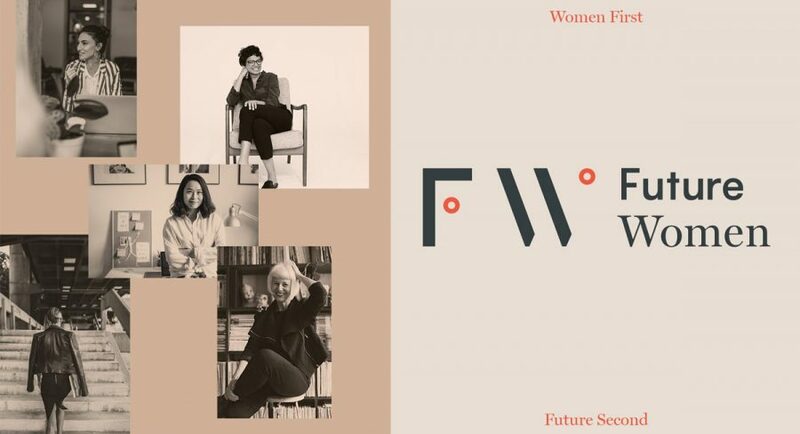 In March, Future Women announced its first editorial appointments. Emily Brooks has joined as launch editor. Danielle Pinkus is the content director and editor of the FW digital magazine. Patti Andrews has been appointed as creative director, while Angela Ledgerwood will work as New York correspondent. 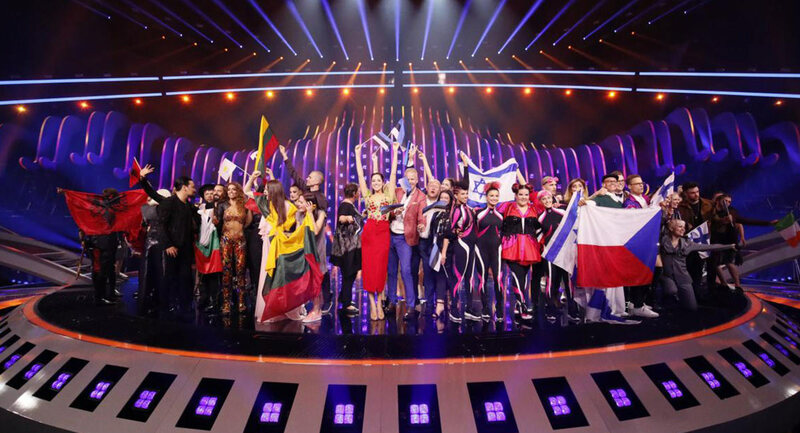 Ten countries have qualified for the 2018 Eurovision Song Contest Grand Final, which takes places this Sunday May 13 Australian time. This is the first time Ireland has made it to the final since 2013. Australia gets its chance to compete on Friday morning early our time when Jessica Mauboy performs. Nine countries – Azerbaijan, Iceland, Belgium, Belarus, F.Y.R. Macedonia, Croatia, Greece, Armenia and Switzerland – didn’t make it through the semifinal. The big five – France, Germany, Italy, Spain and the United Kingdom – plus host country Portugal automatically qualify for the final. Home and Away started the week just under 700,000 and episode two did just on 700,000. 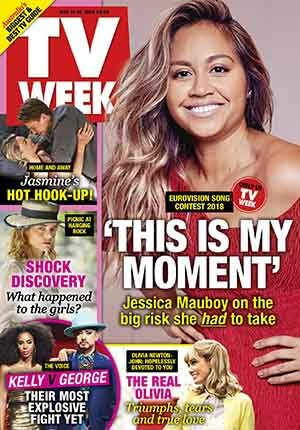 The property renovated in suburban Sydney was auctioned on House Rules last night with a sale price of $1.65m giving Seven a profit of $355,000, which is the size of the prize for the winner of the series. After a launch audience just over 600,000, the auction episode did 621,000. Host Johanna Griggs was taken back to days hosting Friday night’s Auction Squad, which used to end its episodes with a property auction. Andrew Denton was with Cher on Interview but even that combo was unable to stop the audience sliding again as it has every week since launch. The rate of decline has slowed though with 447,000 last week and 393,000 last night. A cracking story about the North Gosford Caravan Park kicked off A Current Affair with reporter Brady Halls not game to enter the property, which looked more like a rubbish dump. Halls was later outside the Central Coast Council offices noting they couldn’t comment because the site was under investigation – a review that had been under way for five years. The episode did 825,000 after 900,000+ on Monday. 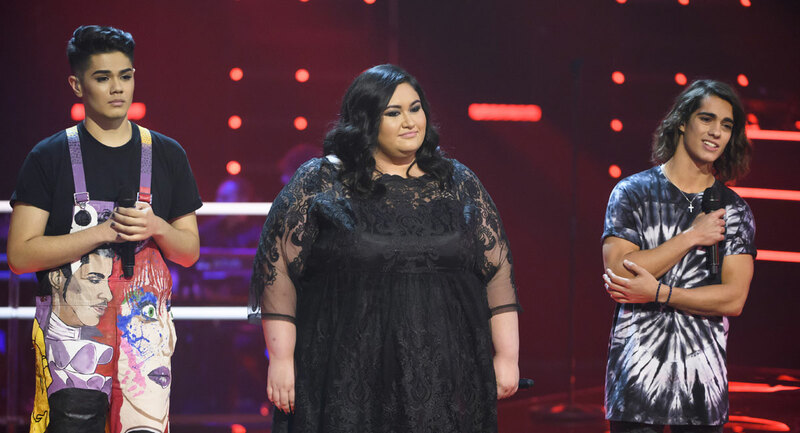 The Voice was into the third and final night of The Knockouts, which sorted out the top 24. The episode narrowly trailed MasterChef all people but there was a bigger gap between the two 25-54. Then it was time for another royal wedding special with the doco Meghan and Harry: In Their Own Words. An audience just over 500,000 won the timeslot and was significant in helping Nine win the night. Cal Wilson was Tuesday’s comedy guest on The Project with 558,000 watching after 7pm. 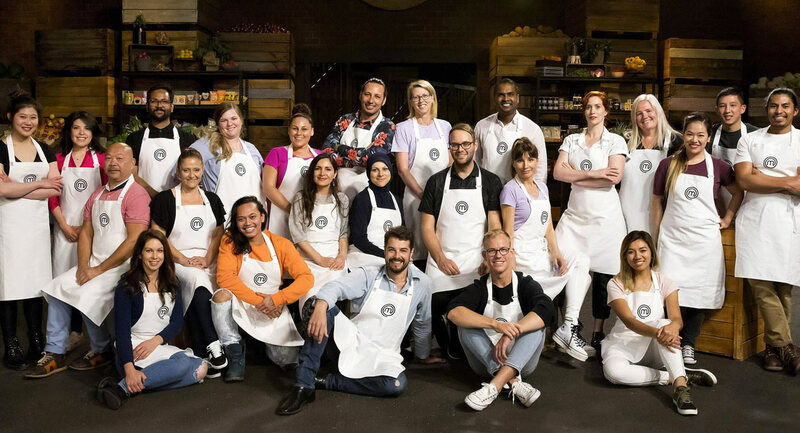 MasterChef offered the six remaining places in the cast for season 10 to nine people who narrowly failed to make the grade in episode one. Shannon Bennett arrived on the show to mentor the contestants during their cooking challenge. By the end of the episode MasterChef also had its top 24 contents. The episode did 845,000 after the launch episode did 890,000. 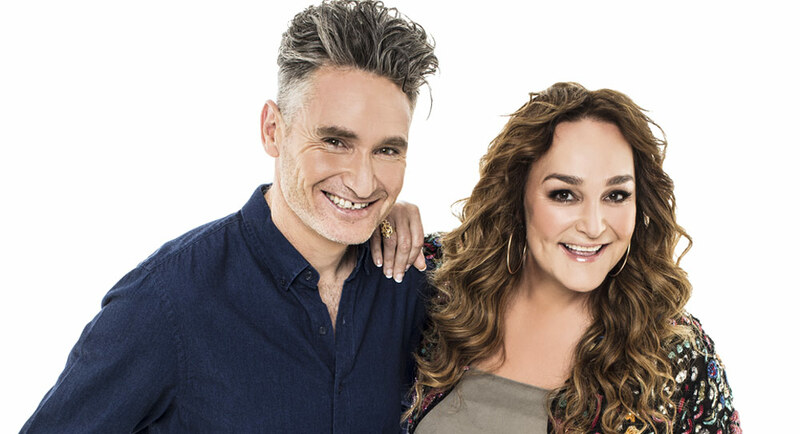 The penultimate episode of Hughesy, We Have A Problem followed with guests including Rove, Peter Rowsthorn and Meshel Laurie. The audience was 430,000, which just gave it a spot in the top 20. It was nearly all wall-to-wall Budget coverage on the channel from 7pm. The News (674,000) was followed The Budget Speech (495,000 on ABC and ABC News) and then a one-hour Budget Special (416,000 on both channels) hosted by Leigh Sales. There was more budget coverage at 10pm with a Late News bulletin (87,000) and then more Budget specials at 10.30pm (85,000) and 11.30pm. However, in the middle of all that, the channel found time for The Real Camilla: Duchess of Cornwall at 9pm, which did 370,000. John Jarratt featured in Who Do You Think You Are? with 334,000 watching. Education featured on Insight with an audience of 192,000. The Government has announced it will freeze the ABC’s annual funding indexation for three years from July 2019, costing the organisation $84 million, reports ABC News. 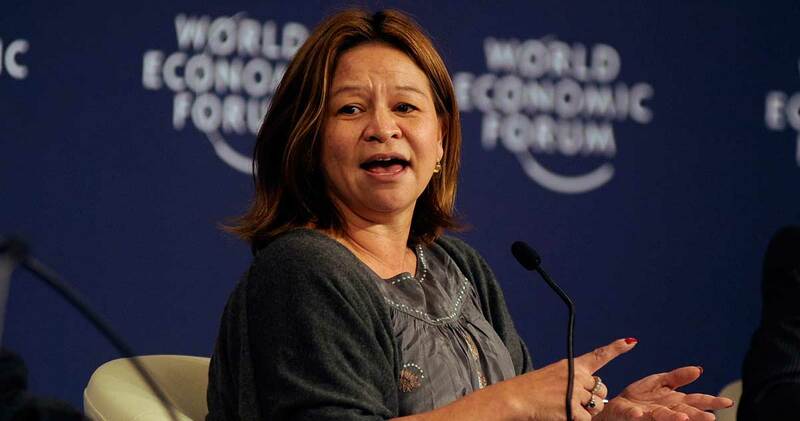 ABC managing director Michelle Guthrie said freezing the indexation amounted to cutting the broadcaster. She said the $84 million cut would be compounded by a decision to cut $43 million in funding for news and current affairs. Guthrie said the organisation has faced $254 million in cuts since 2014. “I am very disappointed and concerned that after the measures we have introduced in recent years to deliver better and more efficient services, the Government has now seen fit to deliver what amounts to a further substantial budget cut,” Guthrie said in a statement distributed to the organisation’s staff. The budget included $14.6 million over two years for the Special Broadcasting Service, SBS. That funding is to compensate for revenue SBS could not raise because the Senate blocked a plan to let it run more ads. SBS thanks the Federal Government for the $14.6 million in funding provided over two years from 2018-19 to the organisation in the budget. This funding relates to the funding reduction SBS received in 2015 when it was expected that the SBS Advertising Flexibility Bill would give the organisation the opportunity to generate further additional own-source revenue, which has now been withdrawn. SBS has no comment regarding the review that has been announced. We will examine the terms of reference for the review when they are released and will make further comment at that point. Following the recent announcement that Dendy Direct will cease operations from May 14, 2018, the board has reviewed the organisational structure of the business and created the position of group marketing head to create further synergies and maximise brand strategies. 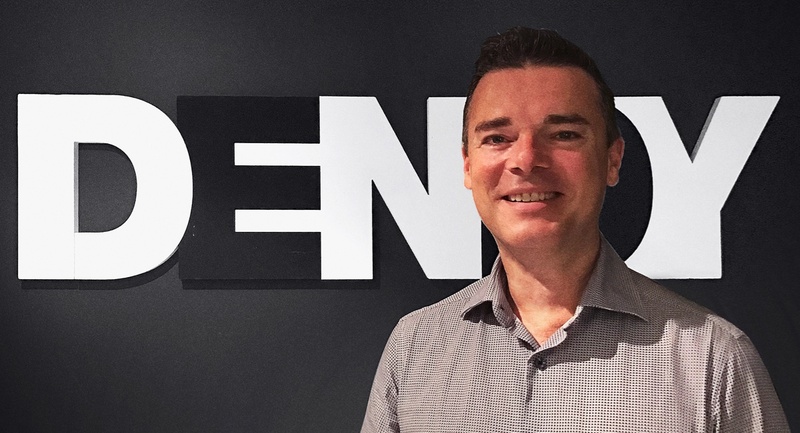 Scott Mota has been appointed to the new position and will be leading the overall marketing, communications and brand strategy for the Dendy Icon Group comprising Icon Film Distribution and Dendy Cinemas. “I am delighted to appoint Scott to this position. He is an extremely effective, passionate and successful marketer, well deserving of this recognition. I am excited to see his creativity and strategic vision steer the Dendy Icon Group forward,” said Sharon Strickland, COO, Dendy Icon. Mota has over 20 years’ experience in content marketing across the entertainment industry. His most recent role was head of marketing for Dendy Cinemas and On-Demand. Other previous roles include head of marketing at Freeview, Lifestyle Channels at Foxtel as well as senior marketing roles at Hasbro, Warner Bros and 20th Century Fox. Cable giant Comcast is getting the pieces in place to make a hostile bid for 21st Century Fox’s entertainment assets should it choose to do so, according to sources, reports The Wall Street Journal. Fox agreed in December to sell the assets in question to Walt Disney Co for $US52.4 billion in stock. Comcast is considering making a play to break up that deal, and has lined up about $US60bn in financing to make an all-cash offer for the Fox assets. Comcast hasn’t yet decided whether to proceed with a hostile bid. Walt Disney Co’s quarterly profit topped Wall Street forecasts on Tuesday as higher returns from its theme parks and film studio offset ongoing pressure on the television business from digital competition, reports Reuters. 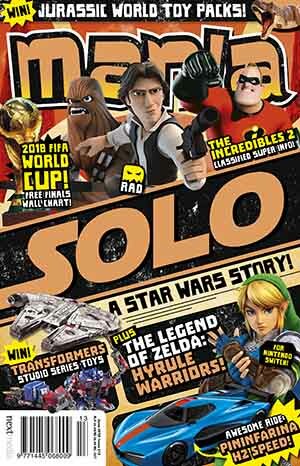 Net income in the media networks unit, Disney’s largest division, fell 6% to US$2.1 billion as ESPN continued to lose subscribers. The results also were hurt by investments in streaming technology company BAMTech, which was moved into the cable unit after Disney acquired a controlling stake to help its digital push. At the movie studio, profit hit $847 million thanks largely to the success of superhero movie Black Panther. The film from Disney’s Marvel Studios has exceeded expectations with $1.3b in global ticket sales, making it the ninth-highest grossing film in movie history. In the meantime, Disney is attempting to close a $52b bid for film, TV and international businesses from Fox. In an interview on CNBC, CEO Bob Iger said he remained confident the Fox deal would go through. 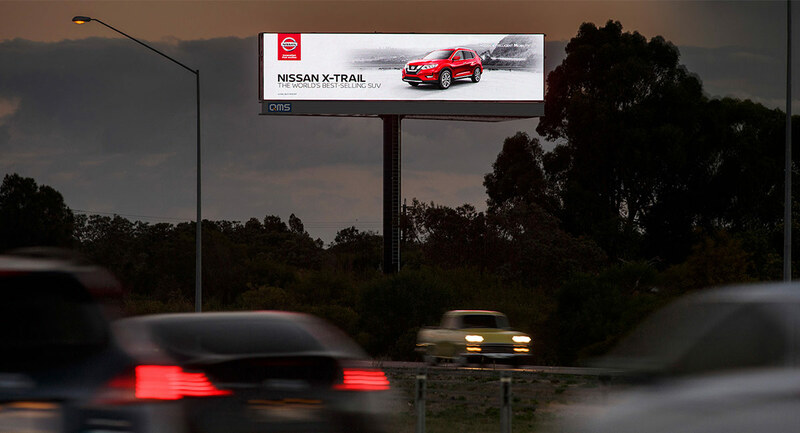 QMS exclusively operates the outdoor advertising on the Kwinana Freeway and adjoining Forrest Freeway with 16 traditional large format billboards. The addition of The Kwins marks the first digital sites on this freeway, providing advertisers with a digital media platform to reach people at the gateway to Perth’s southern region. Endemol Shine Australia is currently casting for an Australian version of the British game show Pointless. There is speculation that the program will be replacing Family Feud on Network Ten in the 6pm slot Sunday to Friday. “The show where the obvious answers mean nothing and the obscure answers mean everything. “We are looking for teams of two to compete. If you and your team-mate are Australian residents, over the age of 18 and have a great range of general knowledge, then this is the show for you. Endemol Shine is initially auditioning only NSW-based candidates. The format has been running in the UK for a decade where it is also produced by Endemol Shine and screened on BBC1. British episodes are screened on ABC TV in Australia. FTA primary TV channels favour news or game shows at 6pm. In addition to Grant Denyer’s Family Feud on TEN at 6pm, ABC screens Think Tank in the slot hosted by Paul McDermott. Yesterday, Network Ten announced that Family Feud Australia will cease production. Southern Cross Austereo has become the first Australian radio company to integrate its stations directly onto Sonos’s smart speaker platform. 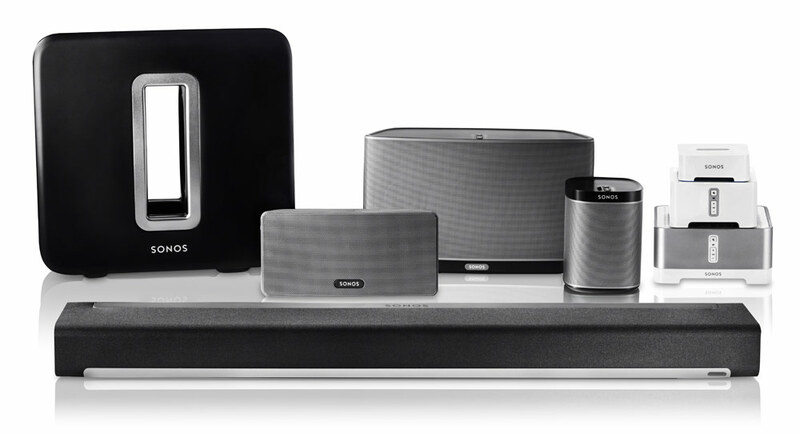 Sonos listeners can now listen to the Hit and Triple M live radio stations or listen to their favourite shows on demand by adding the Hit Network and Triple M apps directly to their Sonos systems. The Hit Network app gives access to all Hit stations in the network, including 2Day, Fox, and Sea FM on the Gold Coast and Central Coast plus all the other Hit stations across the country. Listeners can also access SCA’s Hit digital channels Buddha Hits, Old Skool Hits and Easy Hits. 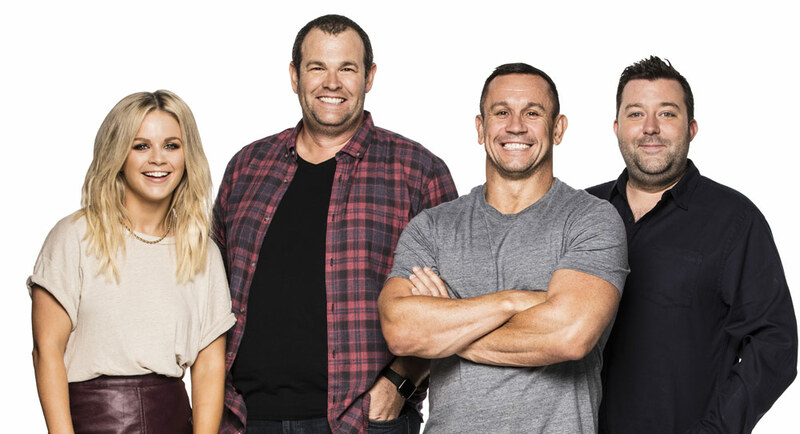 The Triple M app gives listeners access to all Triple M stations in the network, plus Mix 94.5 in Perth, 4TO 102.3 in Townsville, KOFM 102.9 in Newcastle, and 2GO 107.7 on the Central Coast. And Triple M listeners can also get the Triple M digital stations Triple M Classic Rock, Triple M Greatest Hits, Triple M Modern and Triple M Country. Harley Breen has opened up about his year on radio with Em Rusciano, reports news.com.au’s Andrew Bucklow. The popular comedian lasted just one year as Rusciano’s co-host on the 2Day FM breakfast show before announcing last November he was quitting to focus on stand-up comedy. True to his word, he’s just finished touring his latest stand-up show, Flat Out Doing Nothing, in Adelaide, Brisbane, Melbourne and Perth and is heading to Sydney next week for four shows only. Speaking to news.com.au to promote his upcoming gigs, the funny man was happy to talk about his turbulent year in radio, which was plagued by poor ratings and rumours of a rift with Rusciano. Harley Breen will be performing his latest show, Flat Out Doing Nothing, at The Comedy Store in Sydney from May 17 to May 20. SBS has announced it will broadcast Roland Garros 2018: The French Open tennis tournament for the first time. The broadcaster will follow each day’s action live from Stade Roland-Garros in Paris. 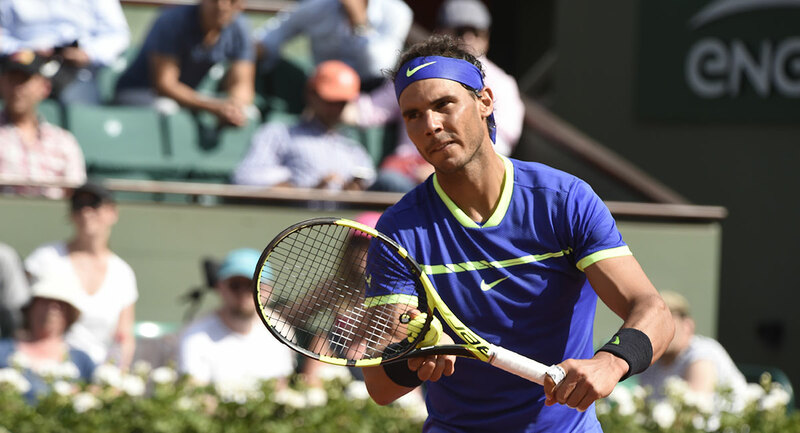 The French Open is the second international tennis grand slam event of the year. SBS’s coverage of the competition will be in HD and will span across TV, SBS On Demand and sbs.com.au/sport nightly from Sunday May 27 (see full broadcast schedule for the final rounds below). 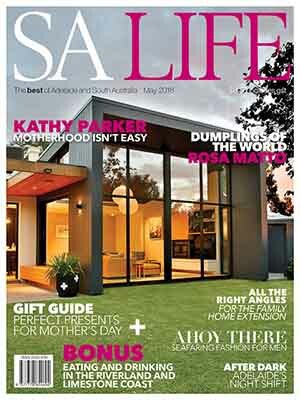 Along with this, SBS will also screen an hour-long highlights show at 5pm daily. SBS director of sport Ken Shipp said: “Australians love the drama and excitement of grand slam tennis, and SBS is pleased to broadcast the Roland Garros French Open tournament for the first time this year. The Seven Network and Fox Sports won’t be able to screen primetime Test cricket in December after Cricket Australia confirmed yesterday that India had declined to play the Adelaide Test under lights. However, they both will be able to screen a Test under lights in January. Cricket Australia had lobbied India to play a day-night Test at Adelaide Oval, which has hosted pink-ball cricket for the past three seasons. Cricket Australia reported current ICC Playing Conditions stipulate that a home nation can only host a day-night Test match “with the agreement of the Visiting Board” and India has confirmed that it wants the match played with a traditional red ball.